One of the US congressional committees has asked Commodity Futures Trading Committee (CFTC) to focus its action on the regulation of digital currencies as the Presidential term of Barack Obama is expiring. The Committee on Agriculture of the US House of Representatives sent a letter to CFTC's chairman Timothy Massada in connection with the election victory of Republican Donald Trump, who bypassed Democrat Hillary Clinton. The letter has contained the info that the above-mentioned Committee was concerned about the so-called "midnight rules development" or the situation in which "the retiring government used all its remaining time in office to develop the new regulations". Committee's Chairman Mike Conaway, a Republican from Texas, asked CFTC with a request not to focus on "disputed rules" in the final months of Obama residence. Instead, the agency should focus on its role as the Control market Commission to engage in other types of "daily work", including enforcement action. Conaway suggested that CFTC could also put in priority such initiative, as the regulation of digital currencies before the administration of Trump would start its activities. 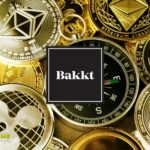 "One of the many support actions being taken by the Commission could be the introduction of more clarity in the regulation of digital currencies. Providing clear public info in this area will aid to enhance the development of this new technology and to protect participants in emerging markets ", - said chairman of the Committee. 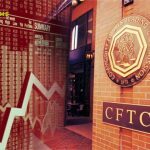 In September 2015 CFTC officially announced its plans to regulate Bitcoin as the exchange commodity. The reason for this action was Bitcoin exchange-Coinflip tactics, who was accused of trafficking of Bitcoin's derivatives, ignoring the rules of the Commission. CFTC demanded from Coinflip the official registration and the compliance the rules, which were subject to other market participants. Exchange representatives toed CFTC, under which Bitcoin and other digital currencies were applied under the definition of consumer goods and should be treated as a commodity. The Commission was also held a public event on issues related to blockchain technology. 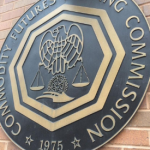 Top officials such as Commissioner J. Christopher Giancarlo sought to convey to CFTC the prospects of this technology in a positive way. © 2018 bit.news | queries 226, for 0.438 sec.